Triple bogey only temporarily interrupts the Lehi resident’s hot streak. 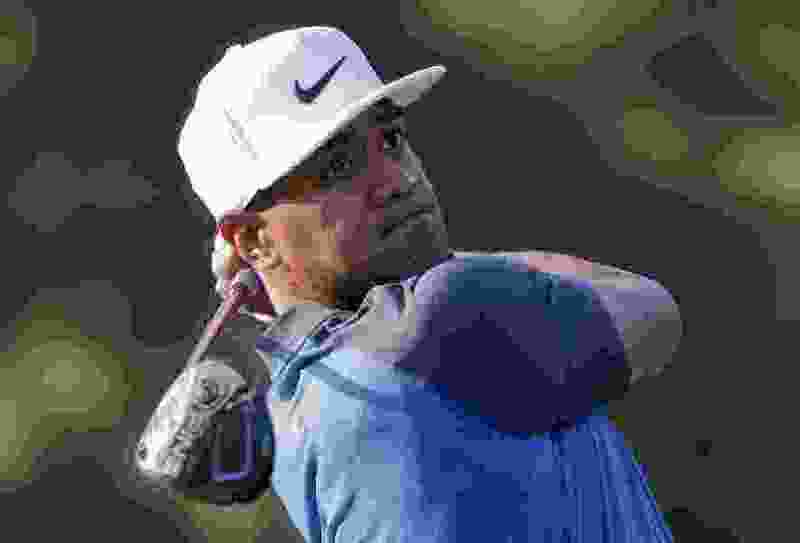 Tony Finau’s flurry of eight birdies in 11 holes — even with a triple bogey mixed in — moved him into position to make the 36-hole cut in the weather-delayed second round of the PGA Championship at Bellerive Country Club in St. Louis. The Lehi resident birdied the first five holes Friday, before making a triple bogey on the par-3 No. 6, where his tee shot found the water. But he added three more birdies (and one bogey) and is inside the cut line at even par for the tournament with play scheduled to resume Saturday morning. Finau hit his drive into the rough on No. 12 before play was halted. In the continuing theme of Finau's Ryder Cup audition, he undoubtedly made a good impression on U.S. captain Jim Furyk, playing with him in the first two rounds. The Ryder Cup format rewards a player's ability to get hot, and Finau certainly did so Friday. Having opened the tournament with a 4-over-par 74, he recovered sufficiently to have a good chance of making the cut in all four majors this season. Hocknull is 1 over for the round and 3 over for the tournament through 12 holes.